I created a laser induced alignment simulator during my PhD in physical chemistry at Femtolab in Aarhus. The program solves the time-dependent Schrödinger equation for the rotation of a molecule subject to one or more intense and ultra-short laser pulses (fs-ps-ns). It works for linear molecules and symmetric tops. 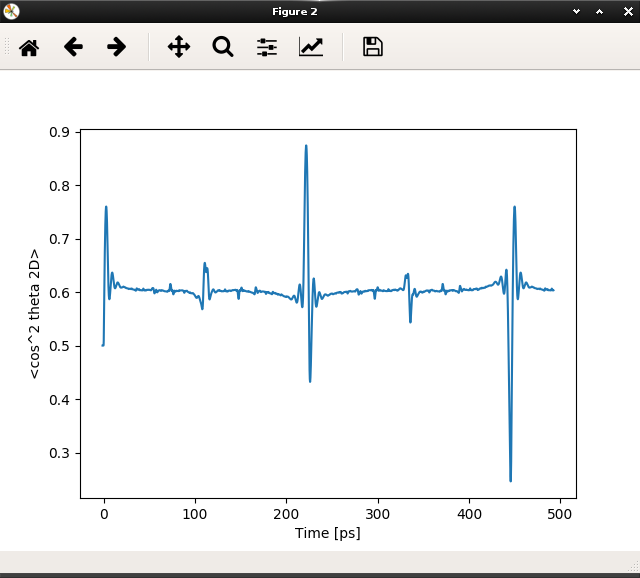 The program has proven very useful for understanding alignment experiments, and quickly reproduces experimental results accurately and reliably. To my knowledge, this is the first program ever to simulate 〈cos2θ2D〉, the 2D degree of alignment, which is the typical observable used in alignment experiments employing Coulomb explosion with the widely used velocity-map imaging spectrometer technique. Here, the alignment is projected down to the 2D detector surface. Other simulators only calculate 〈cos2θ〉 the 3D degree of alignment, which is difficult or expensive to measure. In this way, theory can be compared directly to experiment. Read chapters 2 and/or 3 of my PhD thesis for much more information and comparisons with real experiments. or directly as a tar.bz2 or zip file. If you use the calculator or code from it in your research, please cite A. A. Søndergaard, B. Shepperson and H. Stapelfeldt, The Journal of Chemical Physics 147, 1, 013905 (2017), doi: 10.1063/1.4975817. Program user interface. 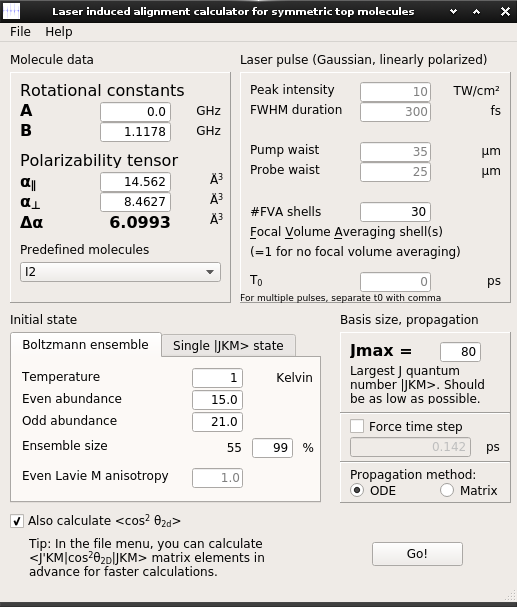 In this example, the alignment of iodine molecules (I2) is calculated at an initial temperature of 1 Kelvin, subject to a 10 TW/cm2 300 femtosecond pump laser pulse. The pump beam waist is 35 µm and the probe waist is 25 µm. To obtain accurate results, Focal Volume Averaging is taken into account. The alignment of iodine molecules after a 10 TW/cm2 300 fs pulse. 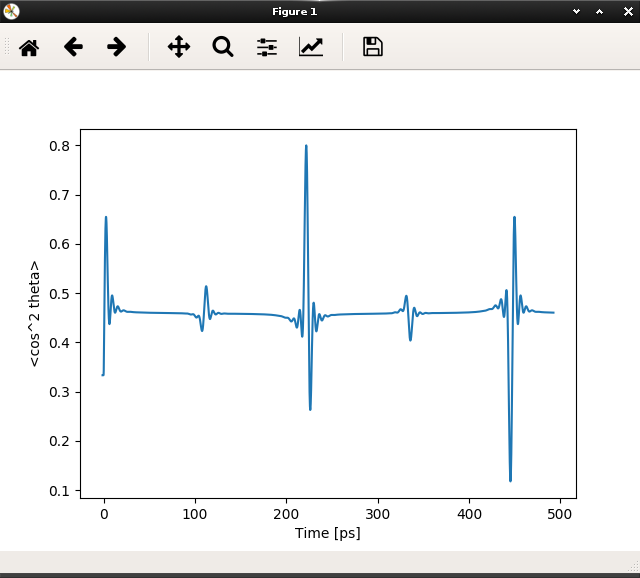 It is easy to zoom and drag around the graph. 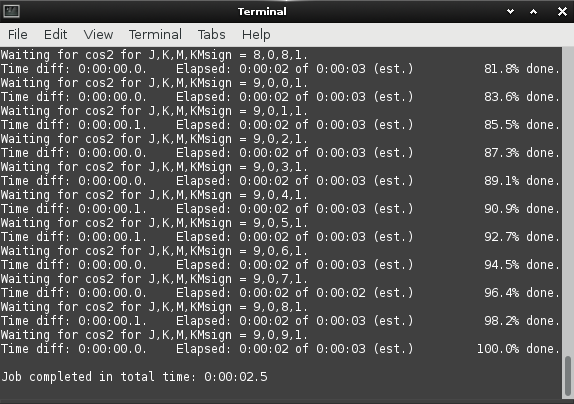 The results can be exported to a CSV file. The program can also calculate the 2D degree of alignment. And it can do so very quickly. A large effort has been put into optimizing the simulation performance. Please can you mail me. I need some help about laser induced alignment. Hi Ankit. Thanks for the message. I hope the installation instructions helped.